Quebec continues to have strong public support. The Global Wind Energy Council (GWEC) recently released its 2012 market statistics, showing continued expansion of the market, with global installed wind energy capacity increasing by 19 per cent in 2012 to 282,000 MW. Canada remains a global wind energy leader as it experienced the 9th largest increase in installed capacity in 2012 (936 MW). Both China and the United States, the world’s wind energy leaders, installed more than 13,000 MW of new capacity in 2012. Canada now ranks 9th globally in total installed capacity with more than 6,500 MW of wind energy in operation – providing enough power to meet the annual needs of almost 2,000,000 Canadian homes. Ontario is the Canadian leader in the production of clean wind energy with more than 2,000 MW of installed capacity now supplying over 3 per cent of the province’s electricity demand. 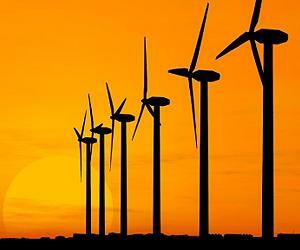 Read more: Global wind energy capacity grows 19 per cent in 2012 — Wind Daily.